Every Prerelease it happens: people don’t read the rules and/or don’t listen when we make our openning announcements. So, in an effort to save some time and answer some real basic questions that seem to come up each and every time, here is our ThunderGround Comics Pre-Release FAQ! -1.0 Why cant I sell my cards to other people, other people are doing it, why can’t I? This is the worst thing you can do here besides lighting fires (comics) or lip synching anythign Justin Beiber. This comes down to respect: if you intend to sell your cards here to other people, then you have no respect for me or my business. If this is the case, then you will not be welcome back. The other alternative is to talk to me and work out an exchange. For the most part, I can buy and trade cards (or whatever) at a reasonable rate. I cannot give you the full amount of the value of your item. If this is something that you disagree with, then please go elsewhere. If you’re going to call me “Greedy” or “Selfish”, then this is something I would also call you. Unfortuantely, I have bills like heat, electricity, and rent that I have to pay for. The way I can do this is by running events and selling product. 0.1 I want to sell you my Prerelease Card! Why won’t you buy it??? Let’s consider a couple things: 1. I am the person giving these items out to people for FREE. 2. Wizards Of The Coast (WOTC) sent me these items for free to give out for free. So, I am sorry, but I can’t buy back or trade for things that I giveaway for free. 0.2 “I am not sure if my opponent is properly shuffling his cards.” Or, “I am worried that my opponent will damage my cards when he shuffles.” What do I do? The only way to make everyone happy is to have our volunteer Judges shuffle decks for people that have either of the above problems. This way, we can all ensure that the deck is both shuffled properly and with care. 0.3 I want you to stop and look up my DCI number right now! Since we are using an older DCI Reporter program, I won’t be able to stop everything I am doing and look up DCI numbers. What would you rather do? Sit and watch me look up codes or sit and actually play with the new cards? Trust me: looking up DCI numbers this way is a laborious task, given all of the current DCI numbers out there. The reason why I haven’t switched over yet isbecause if there is a problem, I know exactly how to fix it using this version of DCI Reporter. It will take time for me to get used to the new version and I can promise by the next Pre-Release that we will be completely switched over. So, in the meantime, you can either make sure you have your DCI numebr with you at the event OR sign up for a new card which I am more than happy to help you with and then e-mail [email protected] and merge the two (old and new) DCI numbers together. 1. Is the the Pre-Release a Booster Draft, Sealed Deck or Sealed Booster? At this time, the good people at Wizards Of The Coast (WOTC) have decided to make the Pre-Release a Sealed Booster event, meaning each player will receive SIX booster packs and then do their best to make a 40 card deck with no 4 card limit. 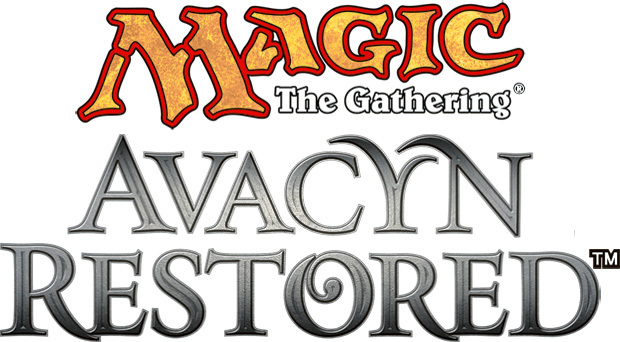 We will host 3 Booster Drafts on each of the Pre-Release days- starting at 4 PM, 6 PM, and 8 PM; each Booster Draft has only room for 8 people so please please please register in those events early AND only if you’ve dropped from the main event. 2. What Place Am I? Very common question and depending on when it’s asked, almost impoosible to answer. If asked at the end of the event, I will have a print out complete with the Standings of each and every player. If asked during (before the end of a round), this question cannot be answered. Let’s think about this for a second: if you want to know your “place” in the event, then I must have the results for each and every other player before I can calculate where you stand in the tournament. Quite simply, I can only answer this question at the end of each round and at the end of the event. 3. Who Am I Going To Play Next? Again, a question that may be impossible to answer. This question is directly related to the second question; meaning as an organzier, I must have the standing of each player before I can pair them up with another player. So, I have no way of knowing who you will play until the end of the round. Now, there is an exception: if you and another player are both undefeated and there are no other undefeated players, then I can confidently say that the two of you will be paired up in the next round.4. Do I Have To Stay For The Entire Event Or Can I Leave At Anytime?In the DCI rules, any player can “drop” (ie. leave the event) at any time. To do this you must: 1. tell me that you’re dropping and 2. drop before the next round starts. If you drop at the start of a round and after the pairings have been announced then you’ll receive a round loss- so timing is everything. 5. Can I Trade Cards From My Deck With Other People? Absolutely not. This is a Sealed Booster event- which means you can only use the cards from your card pool (six booster packs) and nothing else. You are more than welcome to trade your cards AFTER the event is over, but not during the event. 6. I’ve Got An Amazing Card And I Want You To See It! In all seriousness, I would be the first person to wish someone well and I am totally glad that you openned a card that you’re happy with. Unfortunately, I rarely have a moment to myself or even a second to catch my breath. I have the entire event to look after and any other customer that may drop by during our event. Timing is eveything with this question- by all means tell me about it AFTER the event or when I am NOT in the bathroom or when I am NOT on the phone or when I am NOT helping another customer. Being excited about a card is great but please please please use your discretion. 7. I Think My Opponent May Have Done Something Against The Rules Of This Event, What Do I Do? Tell me about it right away- now I’m going to qualify this by saying if I’m on the phone or in the bathroom or helping another customer, then please wait for me to finish and then I’d be more than willing to resolve your problem. Don’t wait until the end of the event (or even the end of the round) to let me know. And please please please don’t SHOUT- other people are trying to play and the last thing anyone needs is someone yelling “Judge!” right when they’re trying to decide which card to play. As a courtesy, please raise your hand or have one of your friends walk over and get my attention. And again, use your discretion. 8. What Should I Do To Get Ready And What Should I Bring With Me? The most important thing is to read the rules of the event and show up on time. I hope to start the event at 1 PM or close to, unfortunately that will probably not happen, given the weather, road construction/conditions, alignment of the stars- there will always be “stragglers” (people that a late), so please show up and be ready by at least 12:30. Please bring enough cash for the event plus any side events that you may wish to enter (Booster Drafts or 2HG) and some extra money for a snack and/or a drink. I have paper, pens and tokens/dice for everyone to use. 9. Roy, Did You Know “MirrodIn” Is Spelled With An “I”, Not An “E”? *smacks head* LOL Just caught that and changed all of our signage.